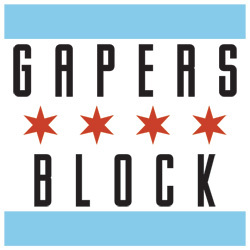 GapersBlock: Is this your first tour? 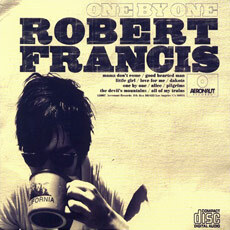 Robert Francis: First national tour. We’ve done a lot of strange tours that we could afford, like up Montana and back down and crazy places like bowling alleys and bars and grills. Yesterday, we made our drive from Denver here and we left at 7 in the morning and got here at 5 pm. GB: You probably have a lot of crazy stories. Any bar fights? RF: Almost. People want you to play a lot faster and at that time I didn’t necessarily have that many fast songs. GB: Did you write any fast songs specifically for those kinds of situations? RF: We would spontaneously cover “Smoke on the Water” and other strange songs by Deep Purple to, you know, make people happy. GB: I read that you have quite the musical family. RF: My father is a classical record producer and my mother’s from Mexico, so I had those two sides of music growing up. And then my sisters introduced me to the Pixies when I was young. GB: I noticed on your MySpace page that you don’t list any classical influences. Wasn’t classical music around the house? RF: It was around so much…when you grow up with something and you hear it all the time…my dad would be blasting classical music from the second he woke up to the time he went so sleep at like 4AM under bright florescent lights working. So there was never any time that I wanted to sit down and listen to it on my own. But I’m fond of it. GB: So you grew up with two things that young people have a hard time coming to terms with: classical music and a foreign parent. RF: What’s sad is that I could speak [Spanish] perfectly when I was really young and then something happened and I stopped speaking it and I forgot it, almost. It’d sad when things like that happen. GB: What are you listening to right now? RF: Dylan, a lot of Infidels Bob Dylan and Planet Waves Dylan. And I like a few songs off the Neil Young Chrome Dreams record. 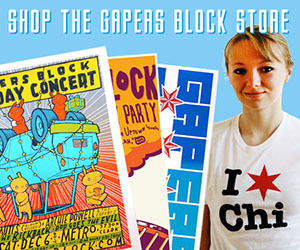 And then a lot of Neko Case, I think she’s really amazing. And still listening to Townes all the time. GB: What do you like about Townes so much? RF: No one can touch him. I feel like people are always saying that people can touch Dylan, which is kind of true, but I feel like [Townes] is a completely different level. And like when Steve Earl said that he’ll stand on Bob Dylan’s coffee table in his cowboy boots and scream at the top of his lungs saying that Townes Van Zandt is the best songwriter in the world, I don’t know if I’d go that far, but he’s pretty phenomenal. GB: Your debut album feels very personal, is it autographical? RF: Definitely, yes. I made it over the span of 2 years. [Starting] toward the end of being 17. The first song I wrote on it was “Little Girl,” and then everything sort of came after that. GB: You play a lot of instruments on it. If you were a school, you’d be the Old Town School of Folk Music. Ever been there? GB: Which instrument did you start on? RF: When I was an infant my dad would lay me across his lap and play piano for hours. So by the time I could actually understand what it meant to play the piano I could do it okay and then I started taking lessons with someone and I stopped playing because it really turned me off. And then I picked it up I think 10 years later. So I think I started when I was 5 and didn’t get into it until 15. GB: Are you touring by yourself? RF: No, I’ve got a 6 piece band and then our new tour manager, so that’s 7 people in a 1993 conversion GMC van. 3 in the back, then 2 in the captains chairs and 2 in the front. It’s a tight squeeze. GB: What do you do during the long drives? Try to kill each other? RF: I try to write, but it’s not the right atmosphere to start righting music. I just lay on top of peoples' feet in the back. GB: You’re opening for [Australian] singer Missy Higgins. What are the audiences like? RF: They’ve been good audiences…it’s just weird because the music is so different that I don’t think people know what to do at first, and then slowly we kind of win them over, maybe. GB: Is that nerve wrecking when you first get on stage? RF: A little bit, especially when they say “we want Missy!” But then [in Denver] someone was like “no, we love you!” and it was ok.